End of the year? What in the world!?! Where did the year go? I can't believe it is already that time, but I will say…I love me some summer, so this girl isn't complaining one single bit. My post today is for all of my teacher friends needing a little inspiration to get them through these final days. My absolute…must do…can't end the year without it…little slice of brilliance! 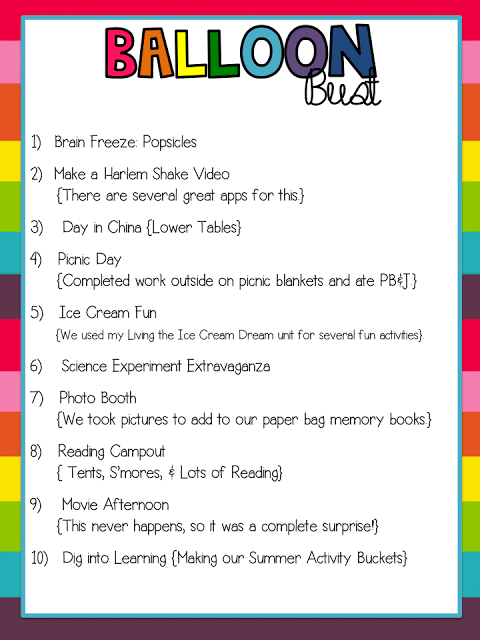 Y'all...you seriously want to do this with your kids to count down your last few days of school. 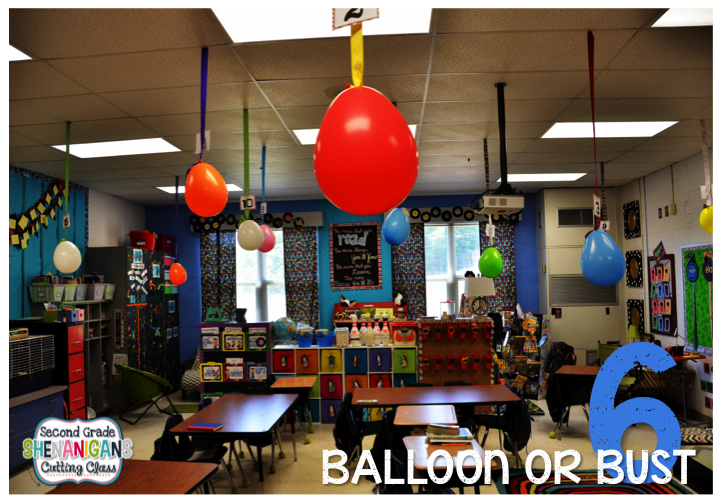 Basically, you hang balloons from your ceiling (and pray that the fire marshall doesn't swing by for a visit) :) and each day, the students pop a balloon to reveal a theme/activity for the next day. The theme is written on a little slip of paper inside the balloon. 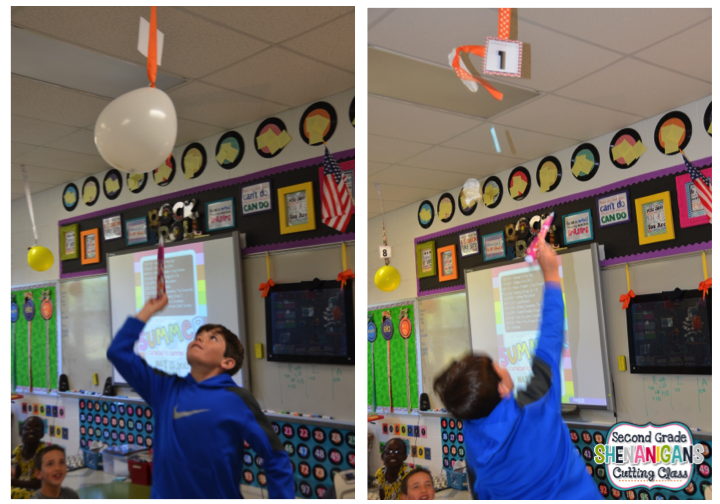 Last year, my kids could hardly WAIT to make it to the end of the day, and you better believe they worked extremely hard to make sure they could pop a balloon. As a matter of fact, they didn't get to pop a ballon one day and the world stopped…or at least that's how they felt. #meanteacher #justkeepinitreal. From that moment on, their behavior and work ethic were spot-on…ALL. DAY. LONG! You can read more about this HERE or HERE. I went to a local pizza shop, and they sold me boxes for less than $1.00. I can't remember the exact amount…but pretty cheap. 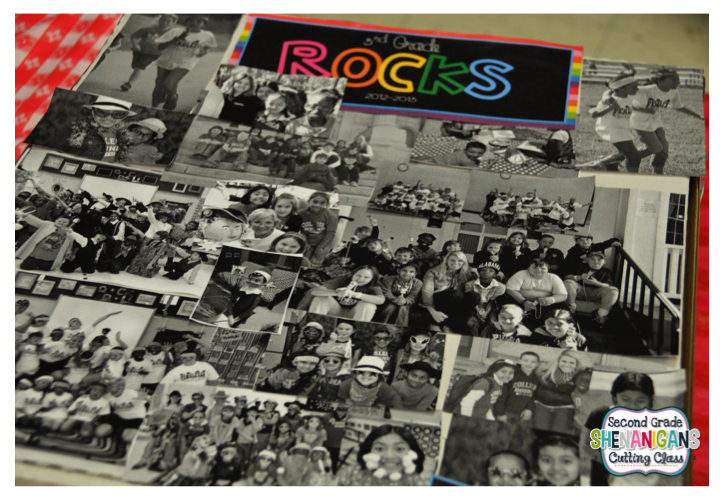 Then, we created a collage of black and white pictures from the year. At first, I was a little sad because I knew I didn't have the money to print out full color pictures…but it turned out to be fabulous. I love the look of black and white with a little pop of color. 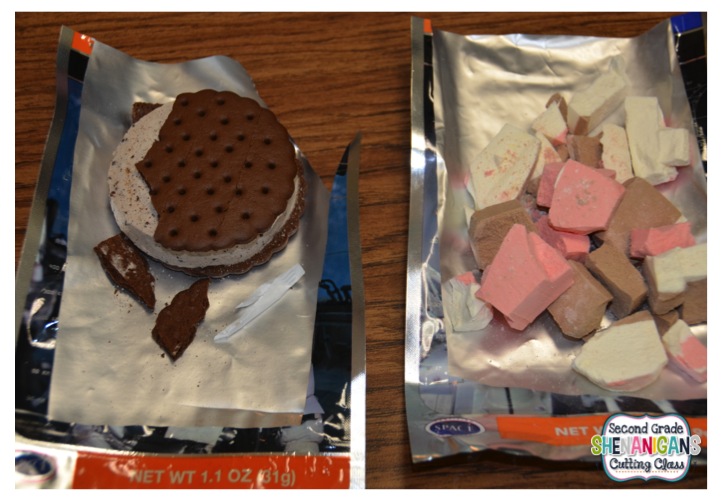 We used a coat Mod Podge and BAM! We share these during our awards day which is a little further down on the list. Stay tuned…. Can you tell that we loved to write! 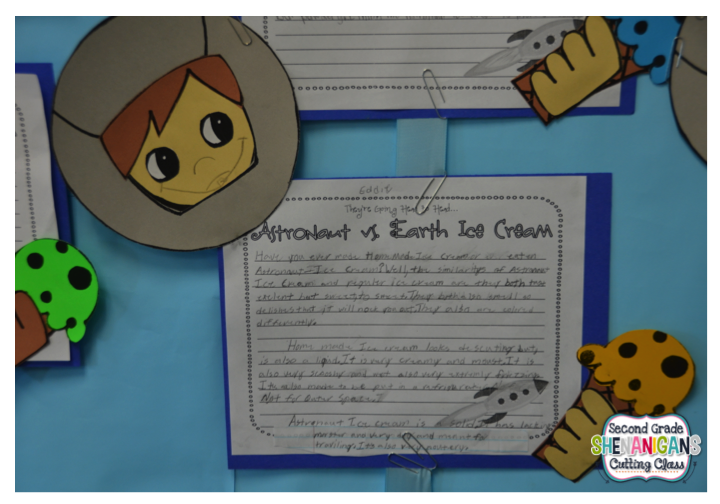 ;) They loved seeing all of their hard work and how their writing had improved throughout the year. 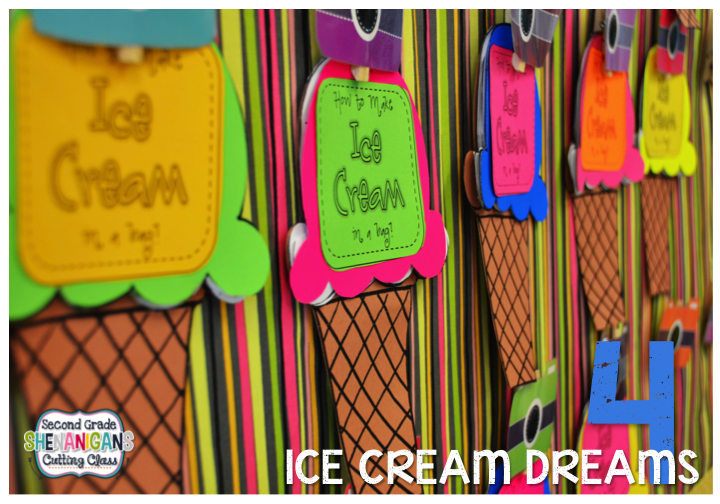 End of Year + Ice Cream = YES PLEASE! Need I say more?!? You can see more of that unit right HERE, HERE, or HERE! 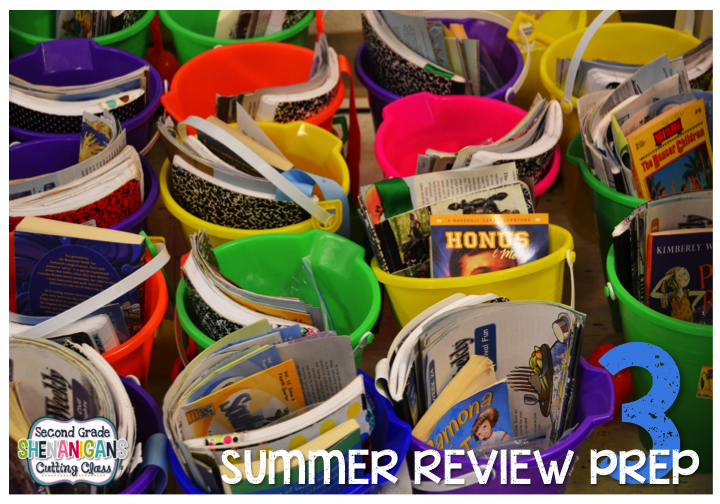 Every year, I make 100% sure my kids go off into the summer prepared to maintain their skills and knowledge. I have tried the worksheet thing in the past, and it just didn't work for these little darlings. 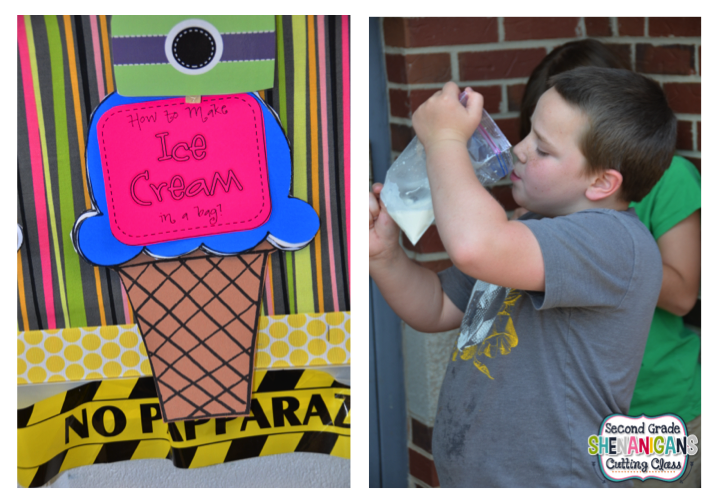 I knew my kiddos liked games, so that's what I focused on. During the final weeks, we created lots of different games from my Dig into Learning unit that they play over the summer to keep their skills sharp. Then we placed them all into a sand pail, and I sent them on their way. I love the ownership piece of this summer review. Since they work so hard to put it all together, hopefully it won't just collect dust. I am sure you have those one or two, but my parents would always text me pictures of my kids playing their games during the summer, so I am thinking this may have just done the trick! You can check this out HERE or HERE! Raise your hand if you always struggle with end of year gifts. 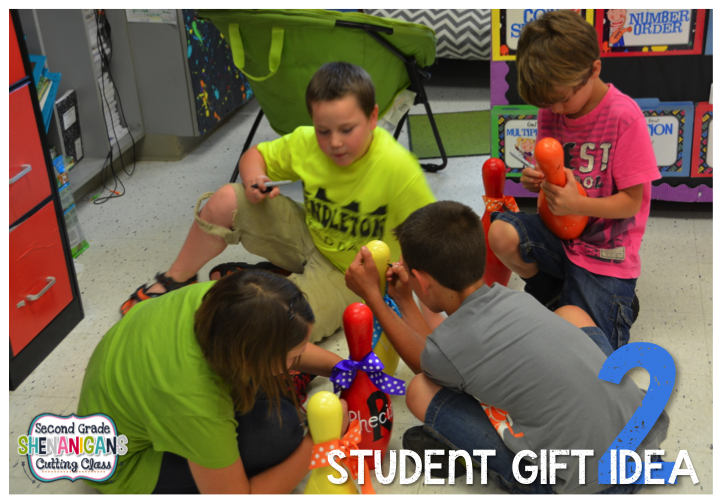 I always wanted to give my students something memorable, but everything is so darn expensive. Then, I went on a little bowling trip where the local bowling alley had a nice big box of bowling pins for $1.00 each! I didn't know exactly what I wanted to do with them, and then it hit me! I give you…. My version of an end of year gift. I had the pins displayed in my room right after I purchased them (they weren't painted yet) and the kids freaked out over them. I threw around the idea of trophies, end of year awards, etc. They literally asked…every single day…if I had decided how to use them. So imagine their surprise when they walked in on the last day of school. These were super easy to make. I just used spray paint and paint pens. Total cost for each pin was about $1.50. 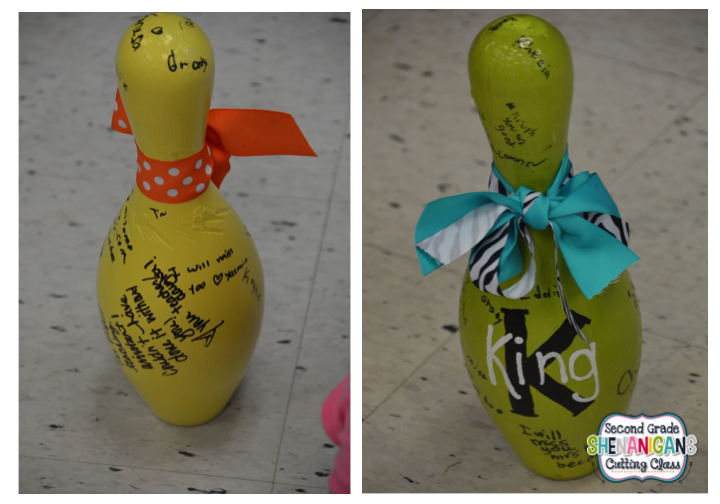 The students used sharpies to sign each pin. So sweet! It was the best way to end our year! 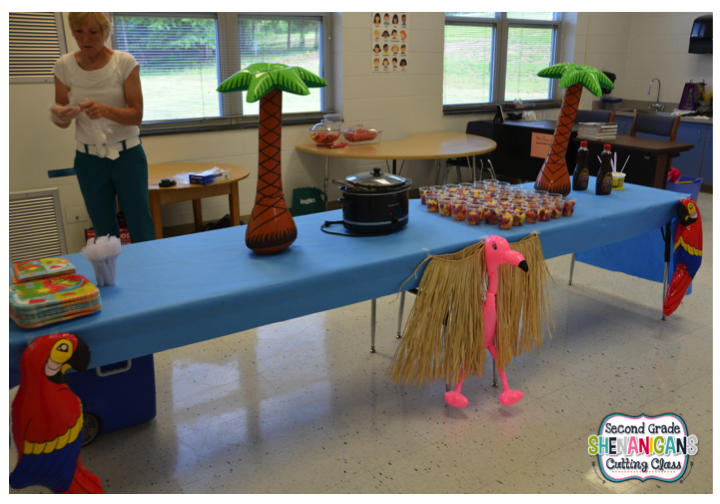 Finally…Awards Day…or maybe I should say breakfast celebration…either way! 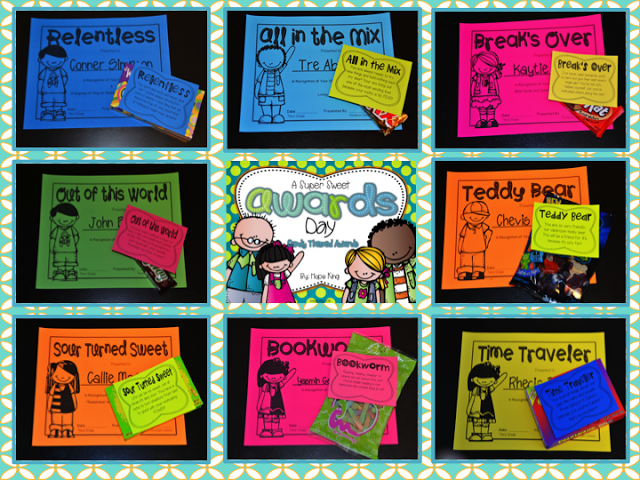 Each year, my students create personal invites to invite their family to our "Writing Celebration/Awards Day." Those little notes always work like a gem, and I have a fabulous turnout. 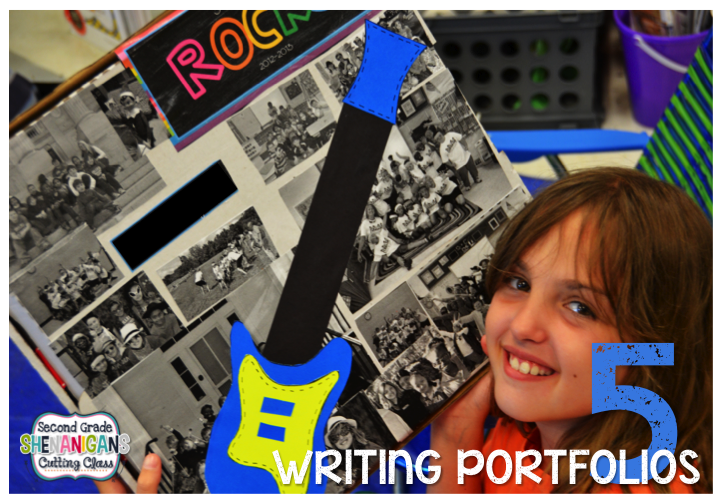 The parents come, eat breakfast (usually pancakes) and spend some time reading through their child's writing portfolio. I never send home writings (other than writing assessments) through the year, so these are a complete surprise. Many of them cry. It is precious! They are always so proud. I love that many of my families bring the entire family out to celebrate their student! 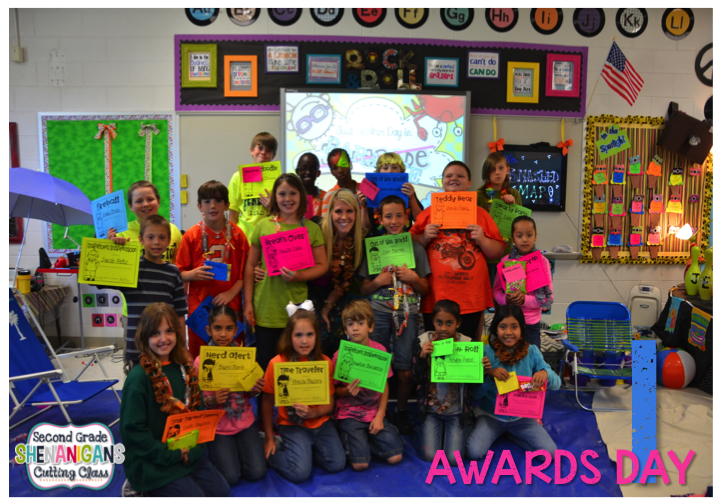 After those special moments, I pass out my classroom superlatives. Last year I used my candy themed awards. 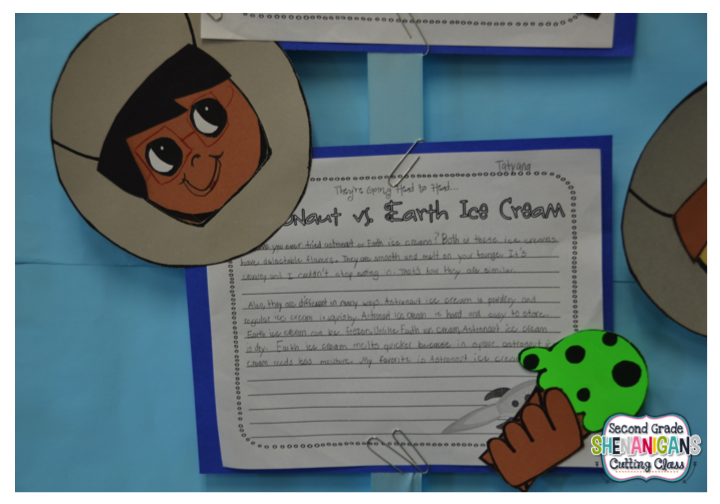 Each award has a matching poem and the kids couldn't get enough of them. They each read their poem to the class and laughed…and giggled…and agreed that it was a perfect match. Then I play an end of year slide show with pictures and special messages from the students. 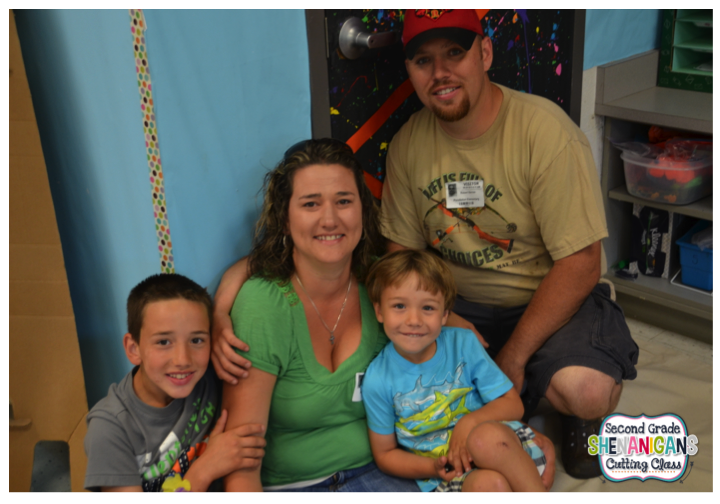 Again, the parents cry…so do the kids! Happy tears! Last year, (after having my students for three years) it ended with puddles of tears and snot all over the room! ;) Such special memories. So..there you have it! 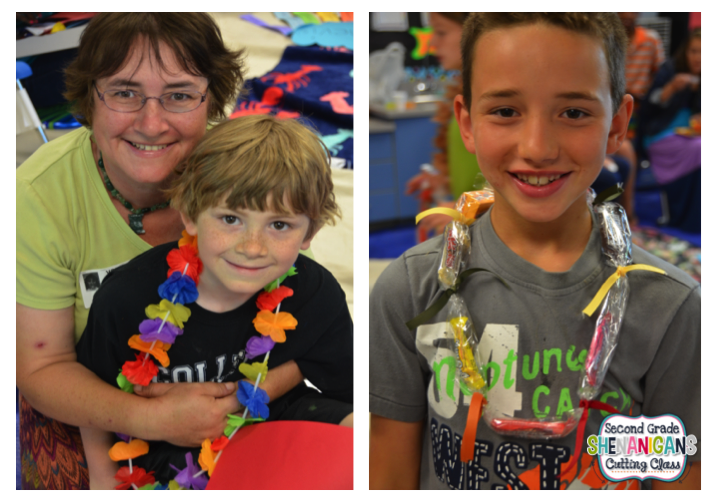 My 6 favorite ways to end the school year! How do you plan on ending your year with a bang?!? Great ideas, thanks for sharing!!! So many awesome ideas here! Thanks for sharing! 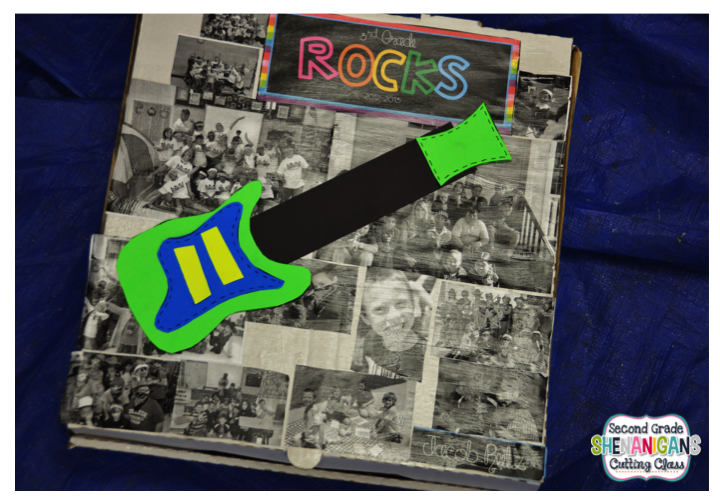 I adore the pizza box portfolios! Did you print photos with a black and white printer or professionally printed? These ideas are do wonderful! Will be borrowing some of them soon! Oh my gosh! 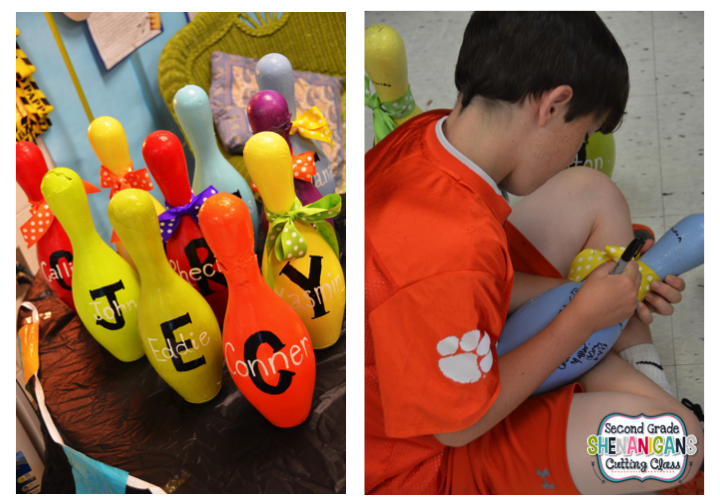 In love with the bowling pin idea. So cute! I love the pizza box idea! 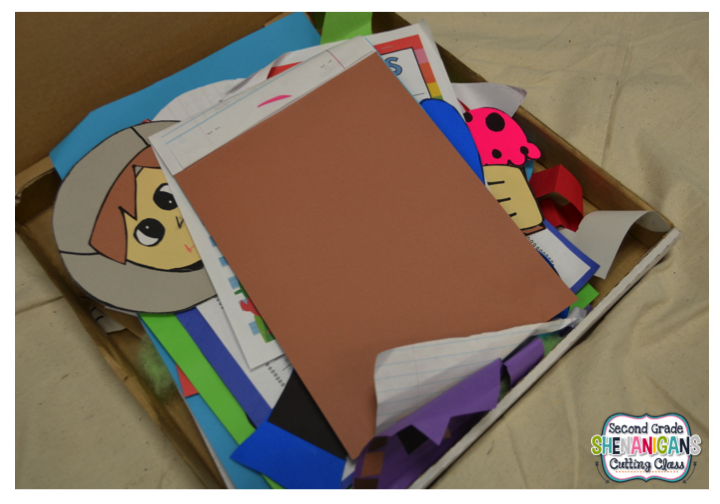 A great keepsake and a way to take home and keep safe all the work that comes down off walls at the end of the year and that they make and collect in the lead up to the end of the year. I think the black and white looks great too! 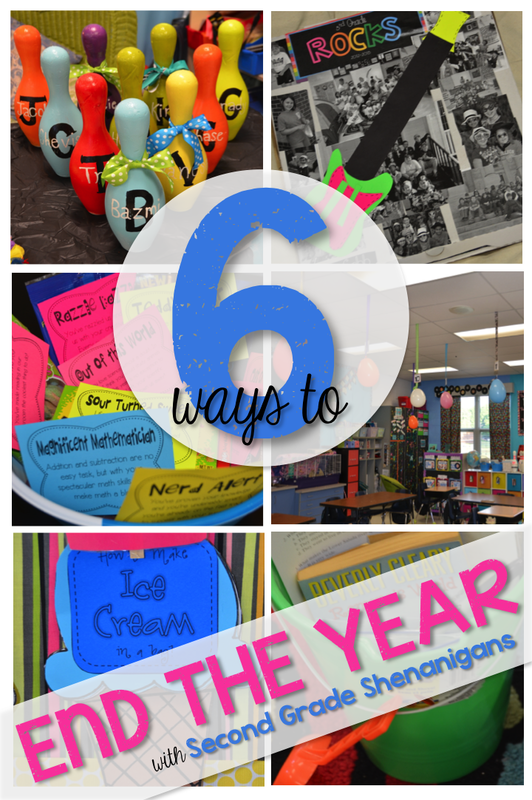 I love all your end of the year ideas! I just bought the bundle with the memory books and made a sample today. Can't wait to do that with my kiddos. Thanks for all the thoughtful ideas! I'll be sure to share some of the photos and results and give a shout out to you! Have a great end of year! End of year pick me up: writing edition!